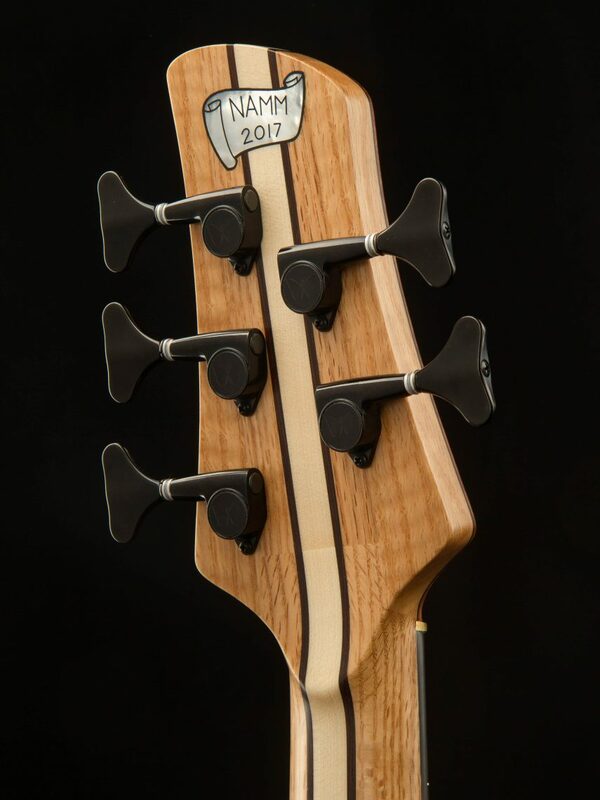 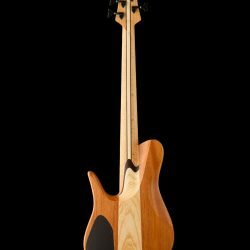 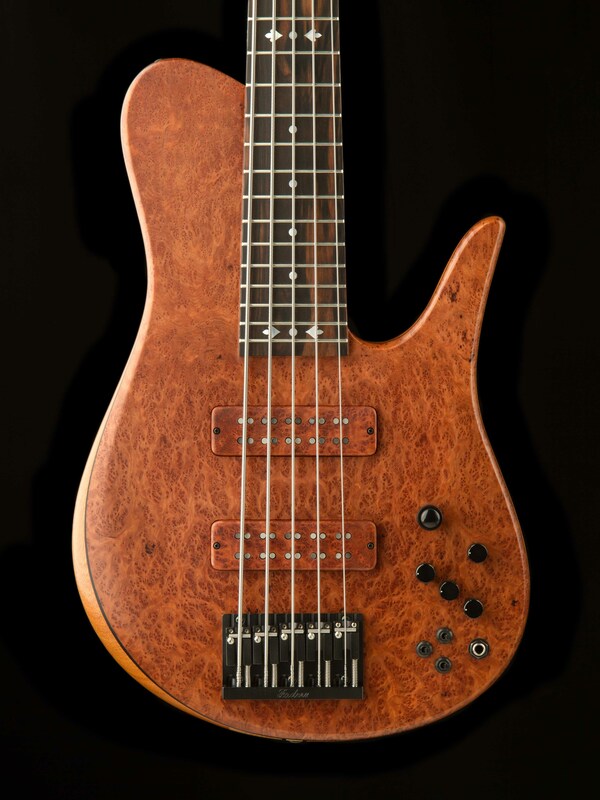 This Imperial 5 Elite is 2017 NAMM bass #2! 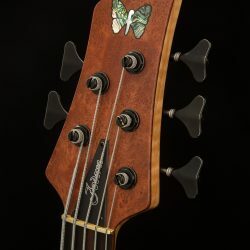 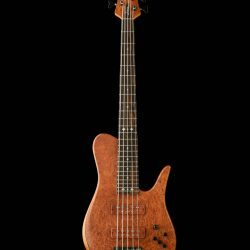 With a Mahogany body, Swamp Ash tone block, Red Oak neck, and Macassar Ebony fingerboard, this instrument has a rich, powerful tone with a warm, driving low end, fat, growling mids, and clear, bell-like highs. 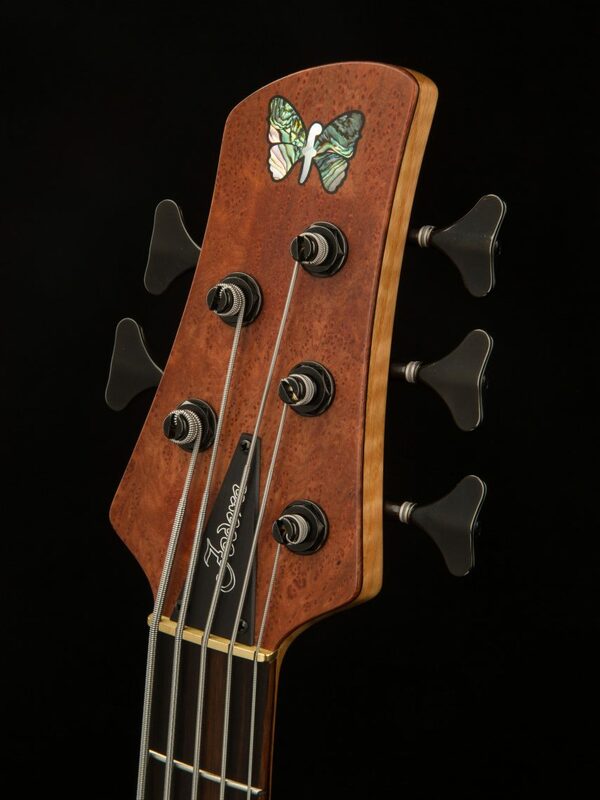 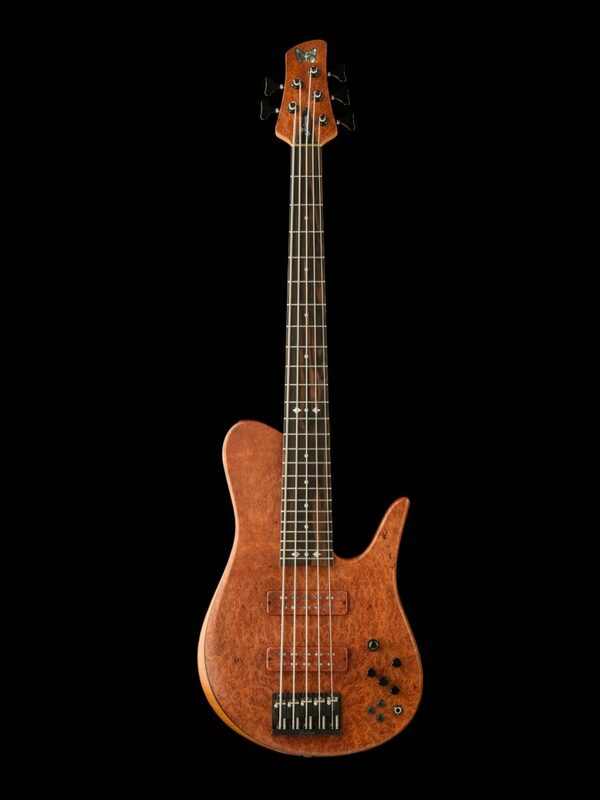 We selected a highly figured Redwood Burl to use as the solid top to adorn the front of this instrument, combined with a gorgeous Macassar Ebony fingerboard. 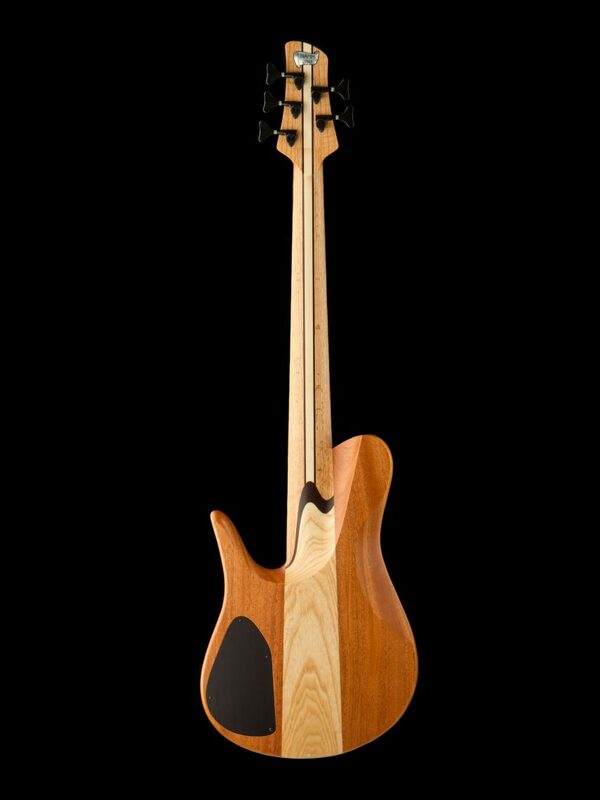 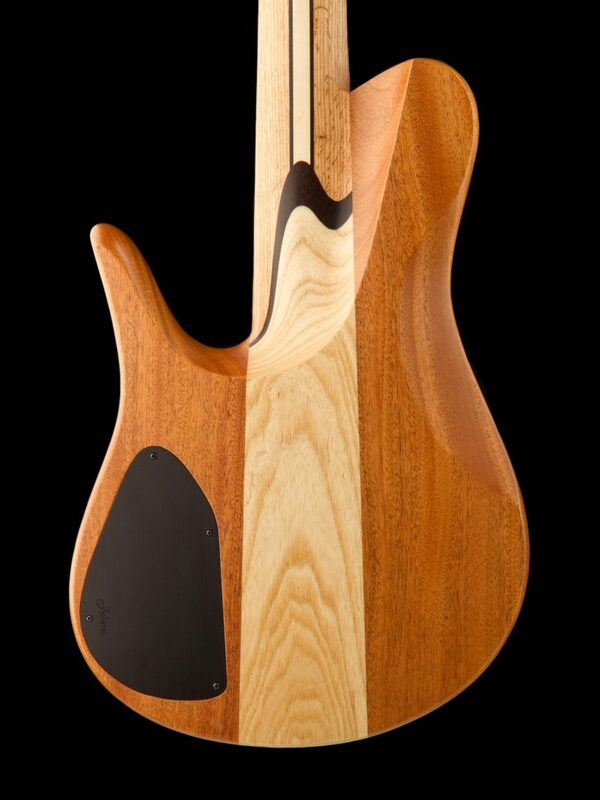 Turn the bass over, and you will see a 5-piece neck that is Red Oak, Wenge stringers, and a Maple center, leading to a beautiful Ribbon Striped Mahogany body! 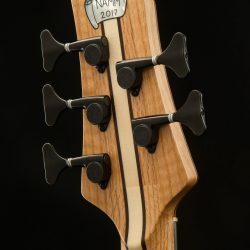 There is literally no part of this instrument that is not extremely pleasant to look at. 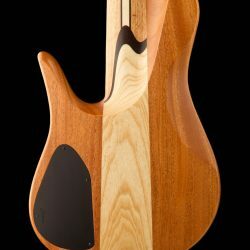 More importantly, all of these elements also create an amazing sound!